Deborah Levy was born 1959 in South Africa . Her father, an academic and historian, was a member of the African National Congress. The family emigrated to England in 1968. She studied theater at Dartington College of Ars and became a playwright whose works have been staged by the Royal Shakespeare Company since 1981. She is also the author of several acclaimed novels, including Beautiful Mutants (1988), Swallowing Geography (1993), and Billy & Girl (1999). Her novel Swimming Home (2011) was shortlisted for the Man Booker Prize, the Jewish Quarterly-Wingate Prize, and was named a New York Times Notable Book of 2012. The title story in her short story collection, Black Vodka and Other Stories (2013) was shortlisted for the BBC International Short Story Award. She has been a director and writer for the MANACT Theatre Company in Cardiff, Wales, and a Creative Arts Fellow at Trinity College, Cambridge. She's a regular contributor of articles and reviews to newspapers and magazines including The Independent, The Guardian, and the New Statesman. Deborah Levy is currently considered a "single author." If one or more works are by a distinct, homonymous authors, go ahead and split the author. 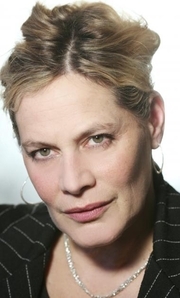 Deborah Levy is composed of 2 names. You can examine and separate out names.